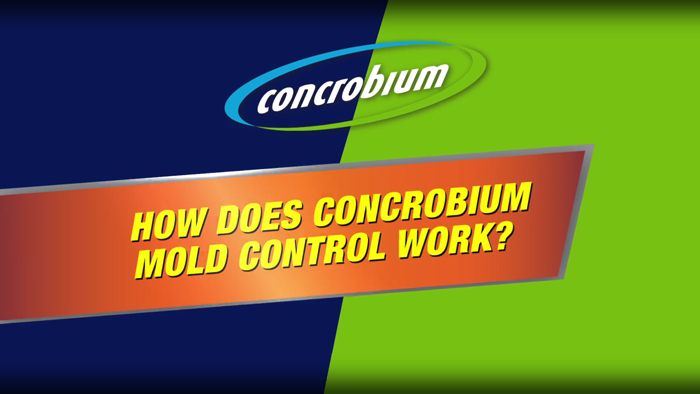 Ever wonder how Concrobium Mold Control eliminates mold and keeps it from coming back? 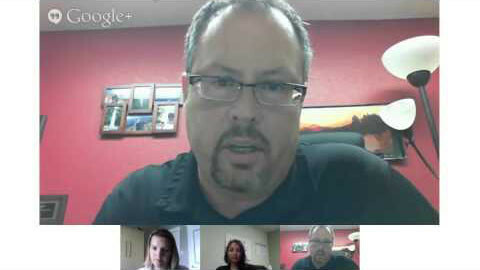 Here's a quick video on what the process looks like. 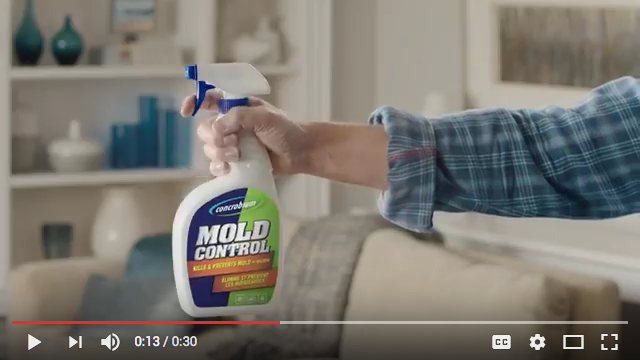 TV spot for Concrobium Mold Control produced by Heyd & Seek and Mackie Biernacki. 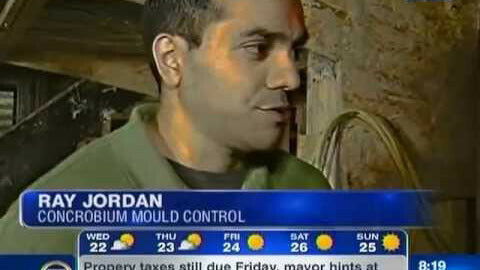 Concrobium Mold Control contains no bleach. 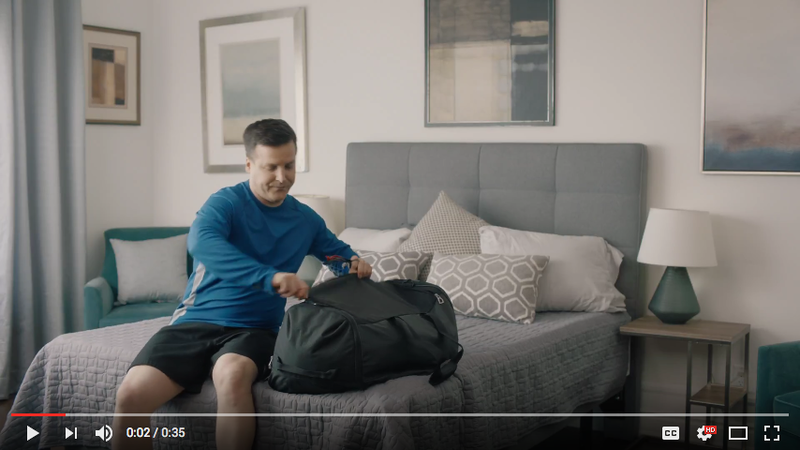 Works great, even on fabrics. 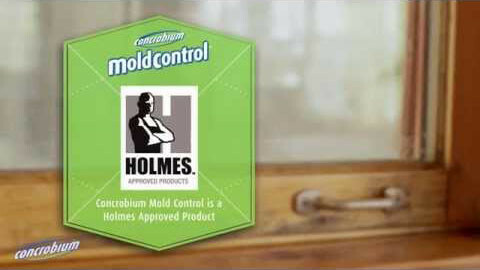 Concrobium Mold Control used weekly in your shower (apply when surfaces are dry) keeps it mold free. 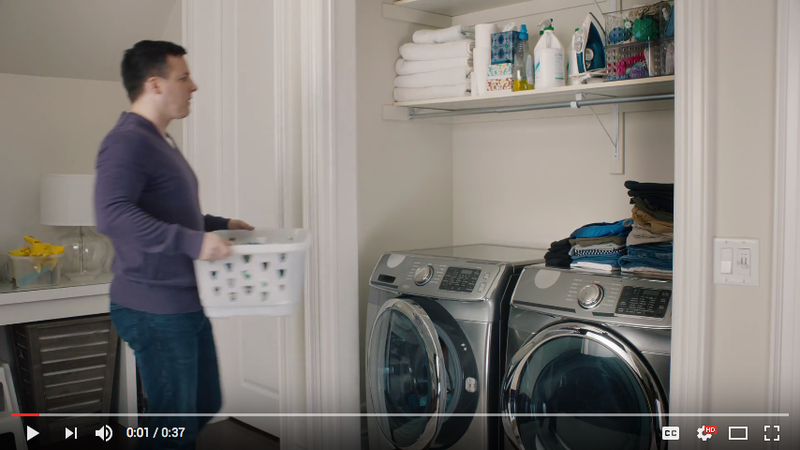 Try Concrobium Mold Control on the gasket of your front-load washer to eliminate mold and musty odours. 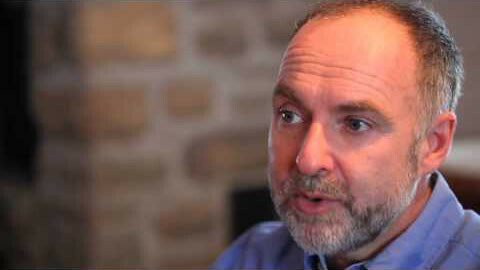 Our VP of Global Sales, Tim Mulroney, demonstrates the safety of Concrobium Mold Control. 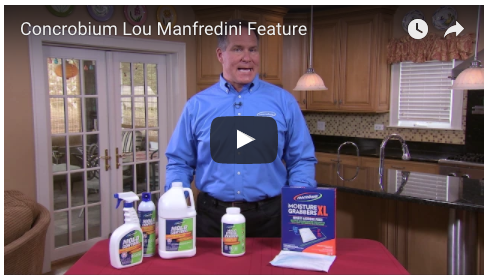 National DIY expert and Mr. Fixit host Lou Manfredini extols the benefits of Concrobium Products. 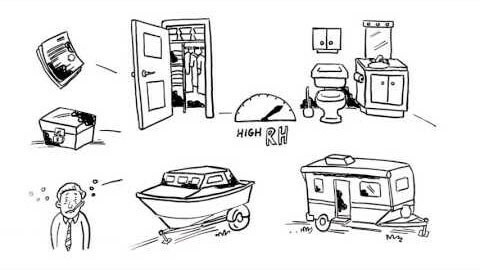 Watch a quick, fun, whiteboard style video on new Concrobium Moisture Grabbers humidity absorbing pouches. 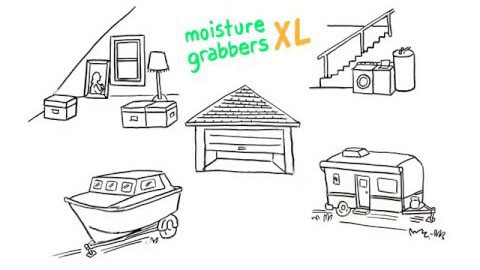 A great, easy way to keep all your valuables safe and dry! 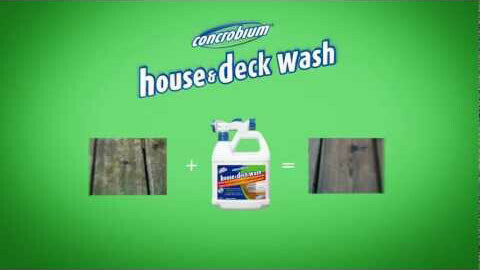 DIY Expert Steve Maxwell shares a step by step guide on how to brighten your deck without using bleach. 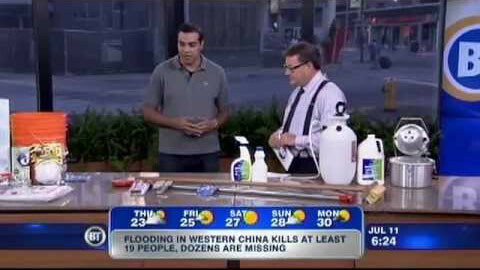 Toronto experienced record flash flooding on July 8th, which resulted a number of households having flooded basements. 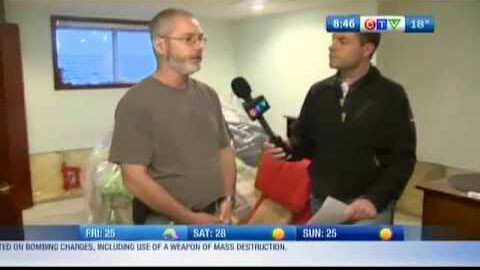 Concrobium Mold Expert, Raymond Jordan shares tips on dealing with flooding and mold on Breakfast Television Toronto. 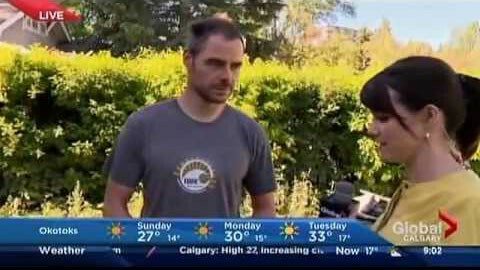 Global TV Calgary provides on the street coverage of the Calgary Flood 2013 and interviews a local resident dealing with a flooded basement. 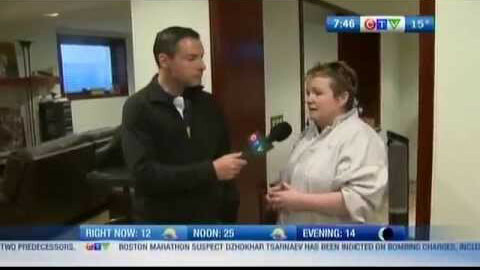 Global TV Calgary provides an update on Calgary Flood of 2013 and interviews local residents dealing with a flooded. 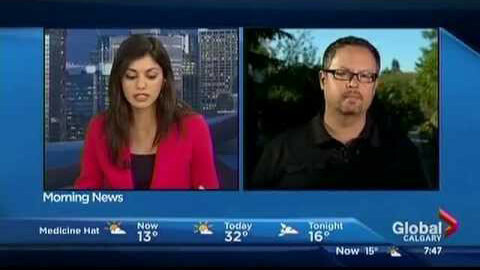 Disaster Relief Expert, Jeff Heyd on Global News Calgary June 2013. 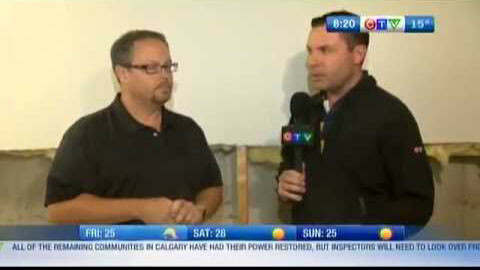 Global TV Calgary interviews Jeff Heyd, who provides advice on preserving pictures, heirlooms, books, what items need to be replace and what types of products and cleaning products to use. 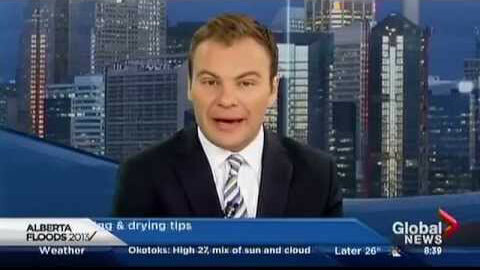 Global TV Calgary provides flooding tips on disinfecting & drying out flooded areas of homes and businesses. 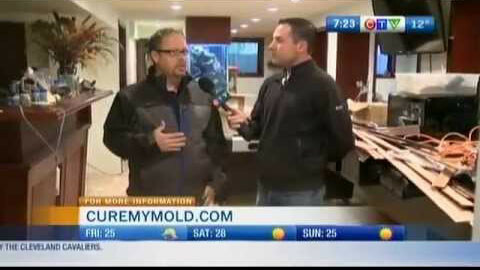 Concrobium Mold Expert, Ray Jordan, shares tips to homeowners on dealing with mold after the flooding in Calgary on Breakfast Television Calgary. 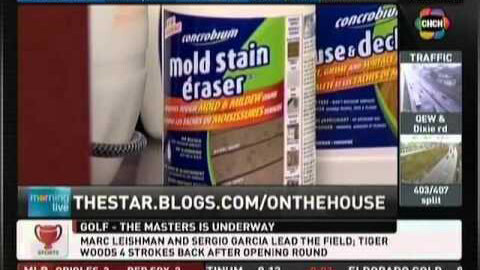 icky Sanderson, a freelance columnist to The Toronto Star, CasaGuru, Reno & Decor, joined CHCH Morning live to share Concrobium's newest products; Concrobium Mold Stain Eraser & Concrobium House & Deckwash. 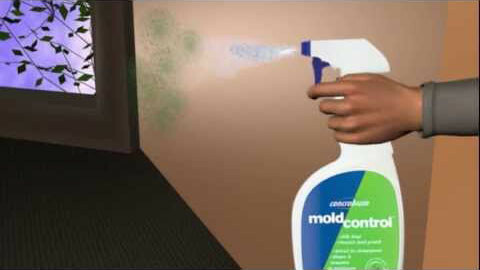 Concrobium Mold Control is an innovative, market leading product that effectively eliminates existing mold, prevents mold re-growth and eliminates musty odors with no harmful chemicals. 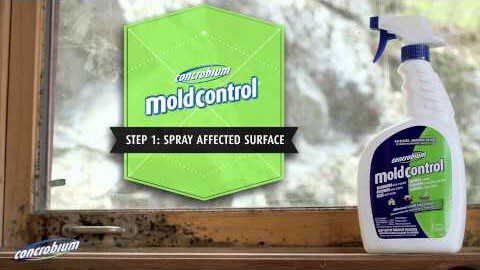 Concrobium Mold Control Eliminates, Cleans & Prevents household mold. 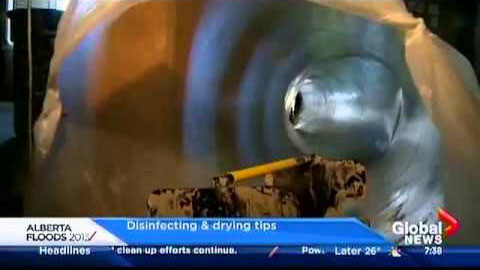 Patented solution used & trusted by Pros. 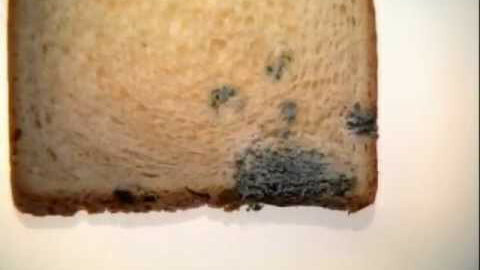 Concrobium Mold Control commercial featuring moldy bread. 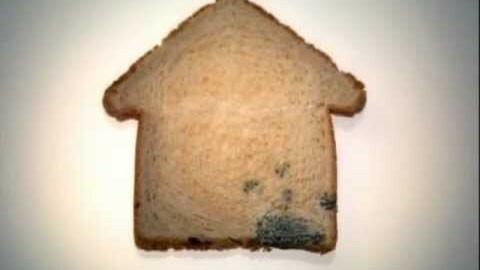 You wouldn't tolerate mold on your food, why would you tolerate it in your home? 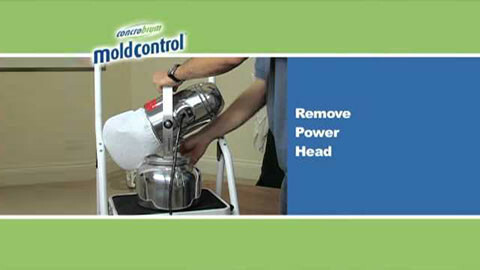 Instructions for using a Cold Fogger with Concrobium Mold Control. 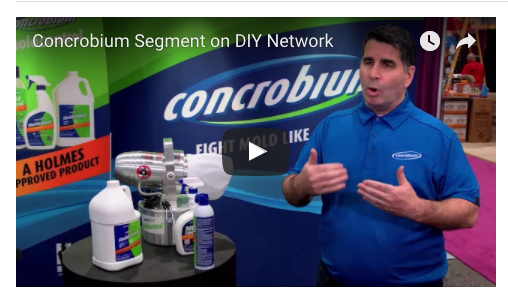 Learn how to use the Concrobium Mold Control Fogger with our step by step video. 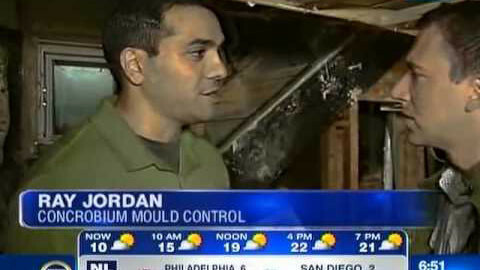 Discover Mold during a renovation project? 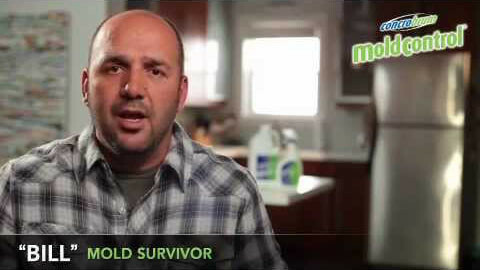 Learn more here about how to tackle mold - be it black mold in the attic, mold on grout, mold after a flood, a leaky pipe causing mold - wherever mold takes hold! 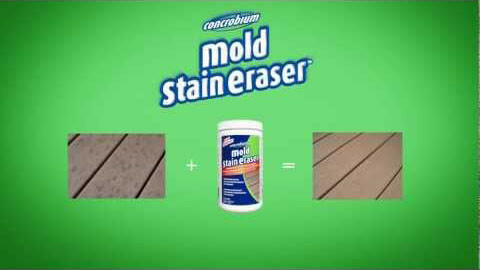 Concrobium Mold Stain Eraser is a powerful cleaning solution that targets tough and embedded mold and mildew stains on outdoor and indoor surfaces. 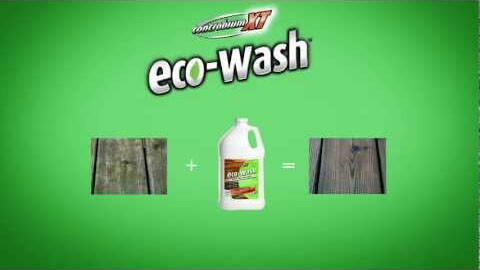 Perfect for getting rid of black mold stains. 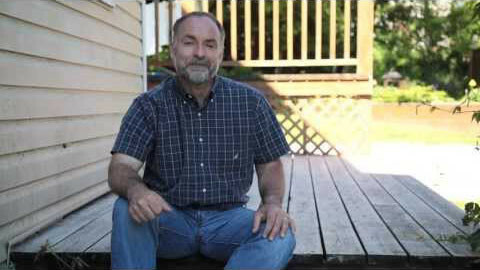 Are your decks, patios and other outdoor surfaces looking dirty, grimy or weathered? 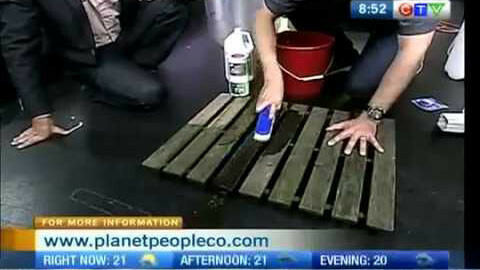 Brad Elder, green cleaning expert from Planet People gives tips on using products that are eco-friendly to help get your deck looking new and refreshed.